Depositing at a casino using a mobile phone is becoming more and more popular in the UK, mainly thanks to the huge convenience it brings for mobile players. On this page about pay by mobile casino sites, we’re going to tell you everything you need to know about depositing using this payment method. When you’ve finished reading, you won’t be able to wait to play at one of the fantastic pay by phone casino sites we’ve recommended to you! Pay by mobile casino sites are actually really simple – in fact, they are simpler options than many of the traditional online casino payment methods. If you want to deposit at a pay by mobile phone casino, you’ll need to first find a site that accepts this method, but don’t worry, as there are loads of them around. To find out if a site does accept this form of payment option, just head to the banking page and look for the Boku, PayForIt or Apple Pay symbol. You’ll then simply need to select the option and follow the on-screen instructions. We’ve provided a step-by-step guide to the process at the end of this page. The process will only take a few seconds and requires you to tap in your mobile number, before then inputting a code sent to you via SMS. The value of the deposit is then added to your mobile phone bill at the end of the month, or is taken directly from your balance if you have a pay as you go phone. You’ll then be able to play real money casino games at your favourite mobile deposit casino! Boku is the most popular way to make deposits using your phone bill and it’s found at many online casino sites. It works in a simple way – you make a deposit request and type in your phone number, before then entering a code that they SMS to you. The value of your deposit is then simply tacked onto your monthly phone bill, so there’s nothing to pay straightaway. There’s no need to sign-up with Boku to use the service they provide. PayForIt offers pretty much exactly the same service as Boku, however it’s not quite as popular. You’ll need to complete the same steps found in the Boku section above and you’ll then be able to play pay by mobile slots and other games in no time at all. As with Boku, there is no requirement to have a PayForIt membership in order to use the service. You won’t find Apple Pay at as many mobile casinos, however it is becoming more popular for casino account deposits. It is still mainly used for physical purchases such as in petrol stations and grocery stores. It will allow you to make a deposit using just one tap when it’s offered at a mobile casino site, and the money will be automatically debited from your bank account, as opposed to being added onto your mobile phone bill. It is also possible to use a number of smaller payment options too, such as Barclays PingIt, however these aren’t offered at the majority of online casino sites. It is unfortunately not possible to use a BT landline to make deposits at your favoured casino sites. There are loads of advantages to using a phone payment casino, however the biggest is convenience. There’s now no need to search around for your credit or debit card, or to remember your e-wallet password, as you can do everything from your phone. What’s more, the whole process is just as fast as using all other methods, as the money will be in your casino account within seconds. Playing at a pay by phone casino is also extremely safe. Because you have to have your phone in hand in order to make a deposit, there is no way others can fraudulently make deposits. You also won’t need to ever input banking details while online, therefore meaning that there’s no chance of your banking details falling into the wrong hands. A mobile casino pay with phone credit is also one of the cheapest depositing options. This is because you generally won’t find any charges levied for using this payment method. The fact that you can effectively buy now and pay later is also a big advantage for some, although you will obviously have to remember that your mobile phone bill is going to be higher when the end of the month comes around. Finally, those using the mobile casino pay by phone bill option will normally find that they can still claim all the bonuses found at a casino. This means that you can grab a great first deposit bonus, or possibly find yourself getting a few free spins on great online slots. It’s only fair that we also let you know about the disadvantages of playing at a pay by phone casino, in order to give you the most balanced view possible. Perhaps the biggest disadvantage is the fact that winnings can’t be withdrawn using this method, so those who manage to win money will have to nominate a different withdrawal method instead. This shouldn’t be too much of a problem though, as most are simply happy that they’ve managed to make a profit! Then there’s also the fact that not all mobile casinos accept pay by mobile payments, although you’ll be able to find the best phone bill casino sites when you read through this site. Finally, there’s the fact that not all phone networks have come onboard with the system yet, however the biggest ones - EE, Vodafone, O2 and 3 - all allow payments to be made using a mobile phone bill. So, the majority of the UK population is covered. My Network Doesn’t Support Phone Bill Deposits - Can I Still Deposit with My Phone? As already mentioned, there are some smaller networks that do not support phone bill deposits. Don’t worry though, as you’ll still be able to add money using your mobile phone - you’ll just need to do it a little differently. Instead of using the online casino pay by phone bill option, you’ll need to choose one of the other options, such as credit/debit card or an e-wallet, all of which can be used with a mobile. Then just type in the required details and the money will be in your casino account. It might not be quite as convenient, but you’ll still be playing your favourite latest slot sites and other casino games in no time at all. If you do run into any problems when depositing using a mobile device, all recommended casinos have great customer support. Just contact them via live chat, phone or email and you should get your problem resolved quickly - meaning that you can start playing games sooner. If you want to play table games, video poker or the best slots pay by phone casinos are a great idea, however there are quite a few of them to choose from. This can make it tough to find the best site for you, however there is a solution. If you want to find the best pay by phone casino, simply look through the reviews right here on this site.  We’ve profiled some of the best casinos available to players in the UK in 2018 and all reviews will tell you whether a site offers the chance to pay with your mobile. So, why not start reading through the reviews here on this site today?